Summer means longer and hotter days and who doesn’t love the sunshine and air that comes with it. This a season that comes with holidays and requires careful lifestyle planning and even your lawn shouldn’t be left out in your summer plans. Fortunately, there are great lawn care services in Texas that can handle your lawn mowing and maintenance for you so any worries you may have are covered. Hotter days mean your lawn will suffer more sun exposure and given the high temperature, you are likely to notice sun-burnt, sparsely-growing and drying up grasses if good preparation isn’t carried out to be ready for the summer. Keeping your lawn looking fresh, green and lush during summer will need more effort more than in other seasons. The following super-important tips will help you prepare your lawn adequately for summer. Alternatively, you could hire the services of a lawn care expert to guide you better. Adequate and routine watering is essential for the optimal health and growth of your lawn. Depending on rainfall or having a poor watering routine isn’t the best for your lawn as the summer periods are obviously hotter than normal and evaporation occurs frequently. If your interest is to have your lawn looking fresh and green, you might need to start watering them at well-timed intervals to get them ready for the summer season. Steady watering isn’t the answer because it will make them have short roots which can’t dig deep to reach water during summer. The ideal watering schedule should be around 5-7 days interval for effectiveness. Lawn care services in Irving provide this service as part of their lawn care routine when they work for you but even if you don’t plan to hire one, doing the job right is crucial if the survival of your lawn is important to you. Weeds are a common pest of lawns and you can easily find them in poorly maintained lawns. They pose a health hazard to your grasses as they compete with them for nutrients, sunshine, space and virtually every other thing. Before the on-set of summer, it’s important you rid your lawn of weeds to give your lawn maximum room for growth. Similarly thatch formed from already cut grasses when not removed forms clumps which block sunshine, oxygen and nutrients from reach and permeating the growing grasses and soil layer below. The importance of this can’t be over-emphasized. In fact, all debris are to be removed from the lawn because they can cause disease and pest infestation. These pesky elements have to be cleared on time to give your lawn enough room to enjoy the excellent aerated atmosphere that comes with summer. Summer comes with active and rapid growth of your lawn so ensure they are well-fed with feeds before the season begins more especially if you are planning to travel. They will need it for the scorching temperature that will soon be upon them. Application of feed normally goes hand in hand with proper watering because it’s easier for the feed to permeate through the soil when damp than when dry. Your application of the feed should be as per the instruction on the feed bag. Ensure the feed is evenly spread to avoid having a patchy looking lawn. Conduct proper aeration practice on the lawn. This is necessary because it will allow oxygen, water and essential nutrients to move through the soil reaching the roots easily. Improved root development is important for the coming summer season as water is required by your lawn and their grass roots will have to dig dipper than usual to obtain water. You don’t want your lawn growing poorly from little aeration caused by clogged or packed soil. To aerate your soil adequately, you could employ the services of any professional lawn maintenance company in Irving. We offer aeration services on custom request as well. As the summer season encroaches, this is the perfect time to unpack, clean up and service your lawn mower to get it ready for action. At this time, your lawn would have developed to a certain level after the stagnancy of winter and the awakening of spring. To have a green and well-maintained lawn, you need your lawn mower ready. Clean and dust the parts, oil the movable or mechanical parts and make sure it’s in good working condition for the new season. 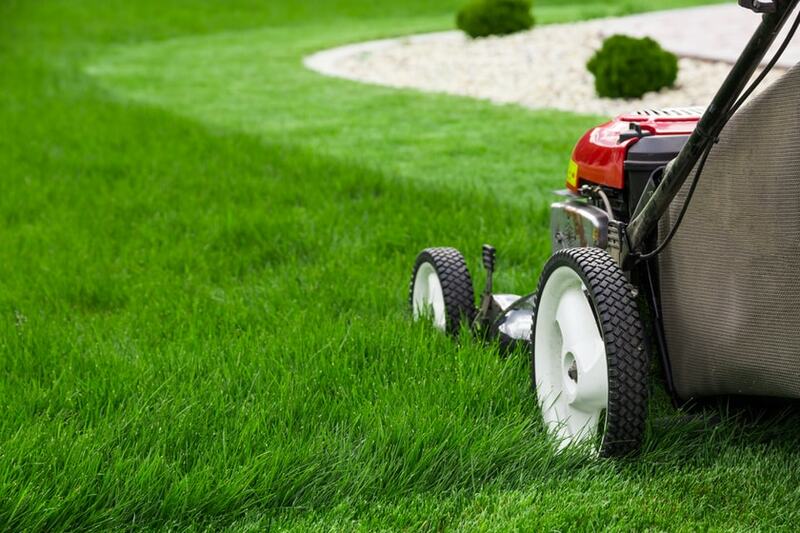 Regular maintenance of your lawn mower though not effective alone will help you maintain a lush-looking, healthy lawn during the summer season. Are you planning to travel for vacation this summer or maybe simply give your lawn a treat? We can show you why we are one of the best lawn services in Texas!